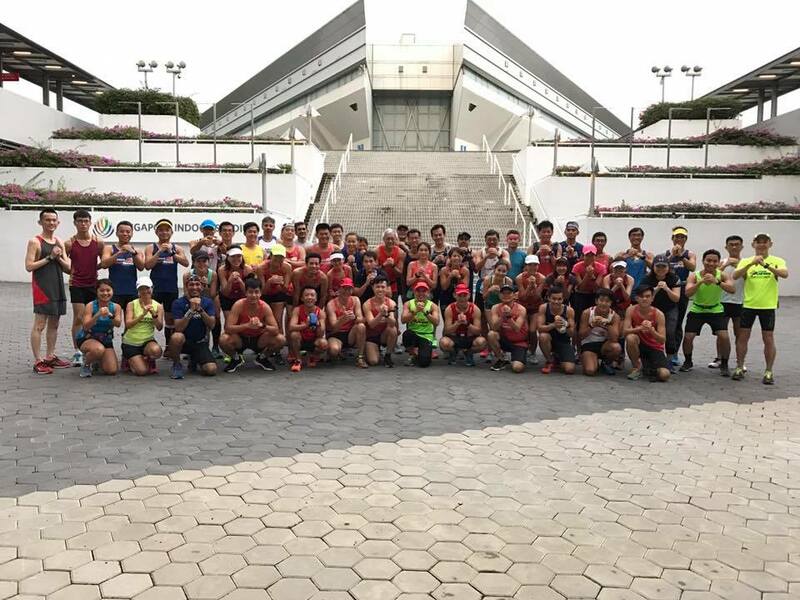 The NightHawks assembled at the Sports Hub on Saturday evening to kick off Phase 2 of the structured training program for Sundown Marathon 2017. The weather was cool after a bout of heavy afternoon showers, stopping just in time for our team’s long run. 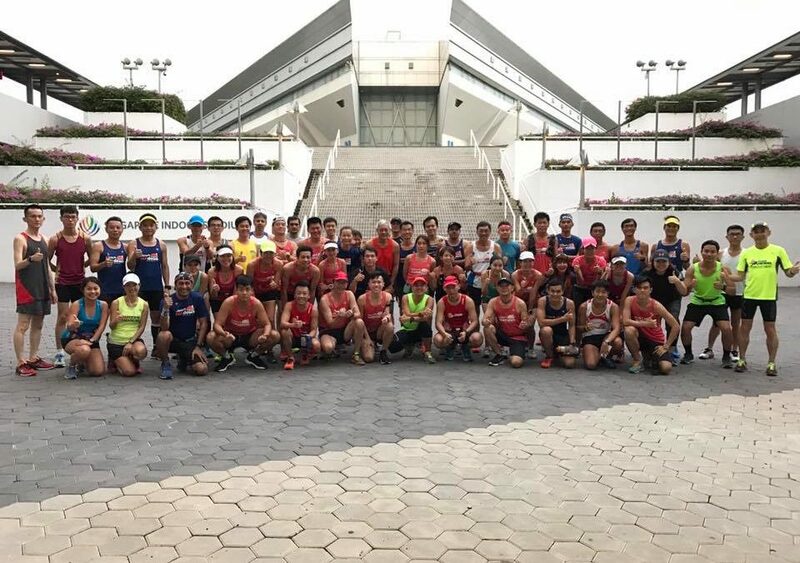 The eager NightHawk trainees and Sundown Marathon Pacers ran in their respective pace groups towards East Coast Park, rounding from the Sheare’s Bridge. The first half of the 17km (Half Marathoners) and 29km (Full Marathoners) went smoothly with all the pace groups and their blinking red lights very apparent even from a distance away. 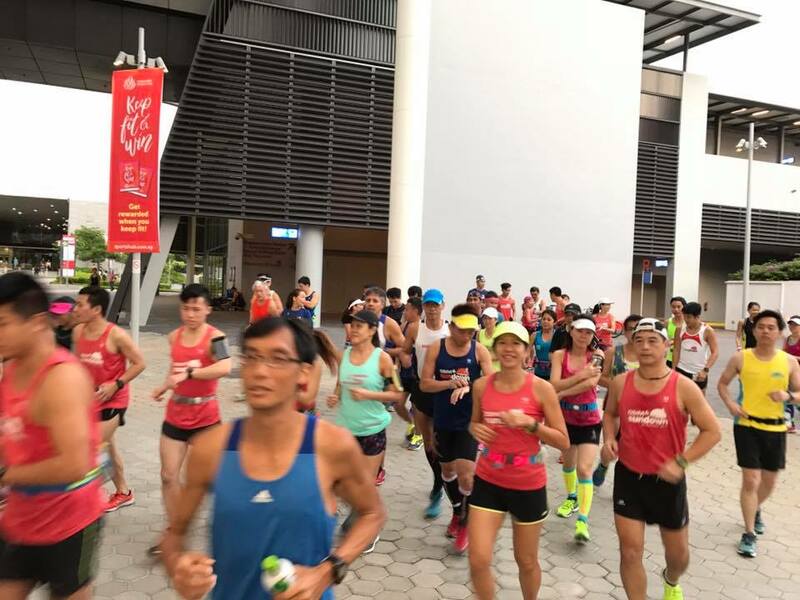 The groups were pacing well and running in tight formation, very careful to pace themselves and not to expand their precious fuel too early in the game. 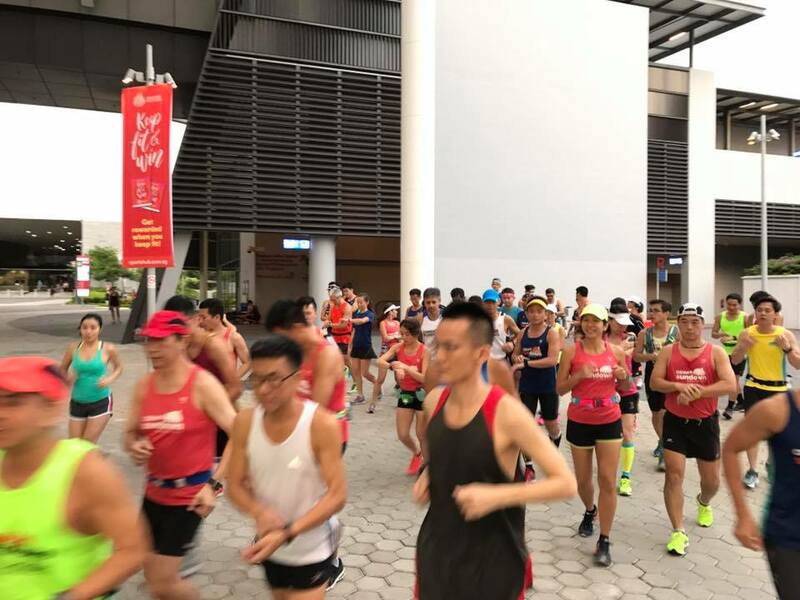 The HM groups turned back at C4 toilets to maintain MP all the way back to Sports Hub, whilst the FM groups proceeded onwards to Sailing Centre and NSRCC before turning back. There were quick water stops in between, as the NightHawks put their hydration and fuel plan into practice. 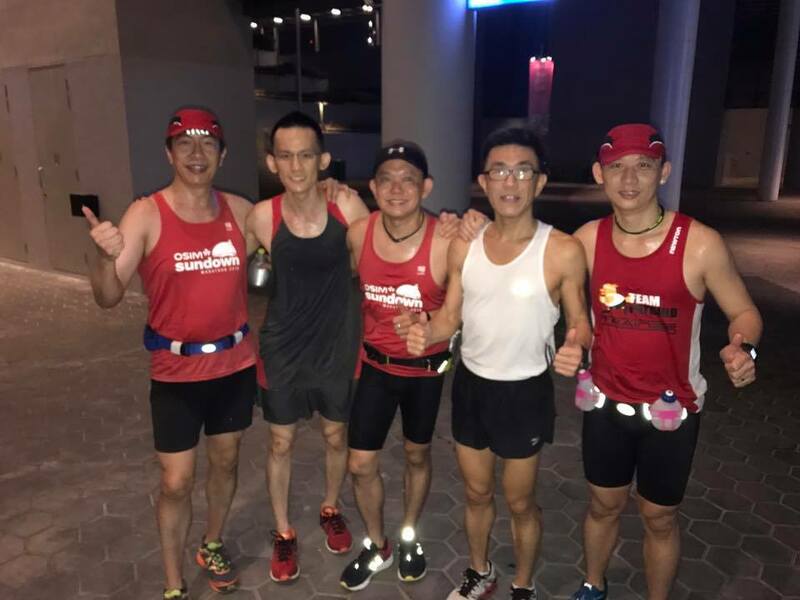 Although there were one or two runners who hit the wall at around the 20km+ mark (due mainly to lack of conditioning and glycogen stores running low), the majority of the NightHawks kept up with their target Marathon Pace to complete the long training run by 10.30pm. After a quick replenishment of isotonic drinks and bananas, the NightHawks dispersed in groups, all very pleased that they have achieved Week #6’s training objectives without too much problems. 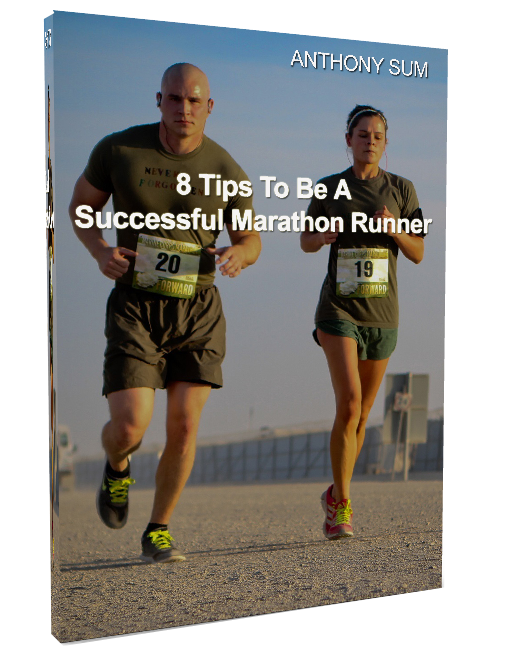 A few NightHawks received tips and advice from their trainers and will put them into good use to be ready for the remaining 6 weeks of training. When Sundown Comes, The NightHawks Emerge & Fly!